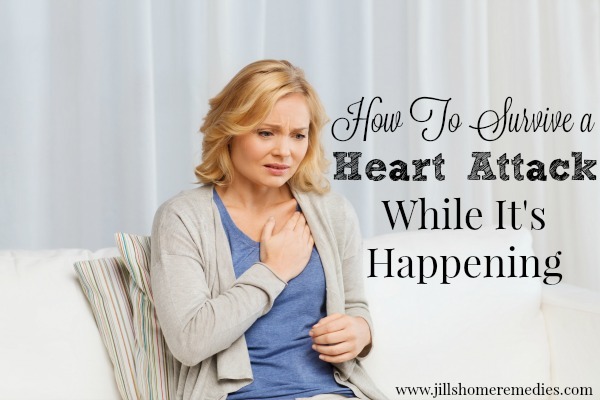 Last week, I wrote a post on how to survive a heart attack while it’s happening. Cayenne has been used over and over to stop heart attacks fast. 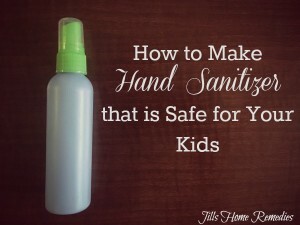 It’s a great idea to keep cayenne on you everywhere you go in case you need it or happen upon someone that does. You can keep a small pouch of cayenne powder or capsules with you in your wallet or purse, but you can also carry cayenne tincture. 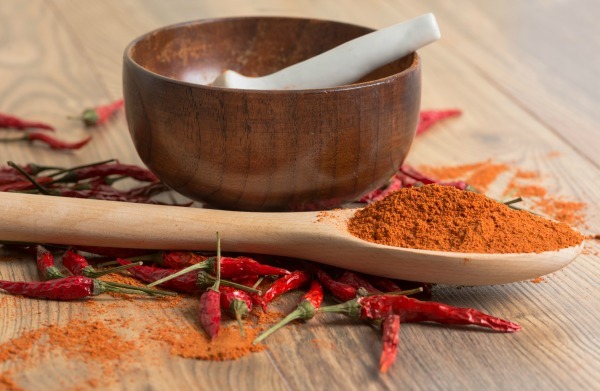 Cayenne may be effective for heart attacks, but there are also many other ways to use it as a home remedy and for good health. 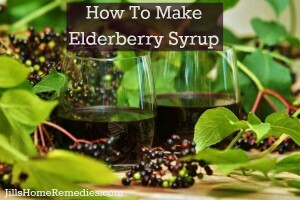 Helps veins, capillaries, and arteries regain their elasticity. Regulates blood flow from head to feet. 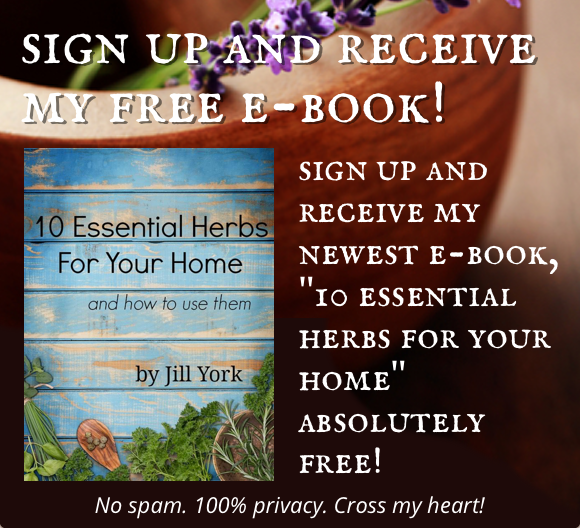 Acts as a catalyst for other herbs, which basically means that when you pair it with other herbs, it increases the effectiveness of those herbs. Can lower blood pressure when combined with garlic. To use a cayenne tincture for one of these internal ailments, simply add a few drops to a glass of water. Add more or less depending on how strong you need it. Some people may find that they need a stronger dose than others. Repeat a dose when needed. Add a few drops of cayenne tincture to other herbal tinctures as a catalyst to increase their effectiveness. Add cayenne to salves, lotions, or coconut oil to apply externally for varicose veins, pain, arthritis, hemorrhoids, etc. 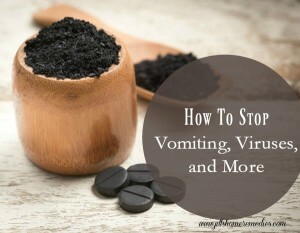 Making a tincture is very simple! All you need is cayenne peppers, vodka, and a jar. Making this with vegetable glycerin would not make as strong of a tincture as the alcohol because peppers are a hard herb and the alcohol does a much better job of breaking it down. Place cayenne peppers in a jar. If using fresh, fill the jar; if using dried peppers, fill the jar halfway. Pour vodka over the peppers to the top of the jar, leaving a 2-inch headspace. Cover jar with a lid. Set jar in a dark, cool cabinet for 4-6 weeks. Shake the jar daily or at least once a week. After 4-6 weeks, strain the peppers from the liquid. Bottle the liquid and store in the cabinet. Note: Alcohol tinctures are good for 2-5 years. 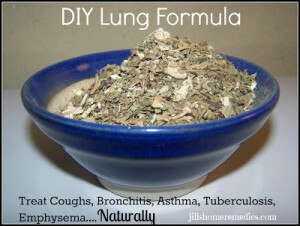 Rather buy a tincture than make it? Buy cayenne tincture here. 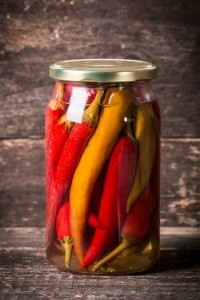 Place cayenne peppers in a jar. If using fresh, fill the jar. If using dried peppers, fill the jar halfway. Alcohol tinctures last for 2-5 years. 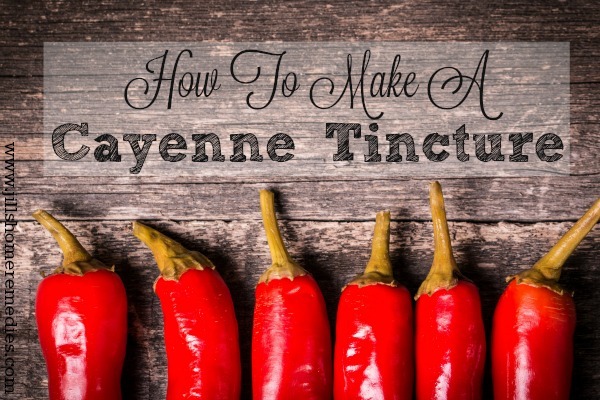 Have you ever made a cayenne tincture or used cayenne as a home remedy? I’ve had problems with headaches and migraines off and on for years, (which I now believe is due to taking too many antibiotics) and most times I’ve had to take a pain reliever to get any kind of relief. 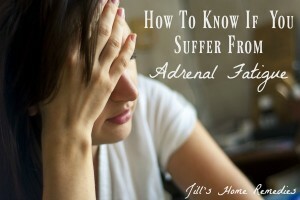 My headaches can turn into migraines, which include light sensitivity, loss of appetite, nausea, and even vomiting – and I have to do something quick for them when they get bad (because I hate to throw up! :))- which normally means taking pain relievers (which only damages my liver further). I have discovered my favorite remedy for my migraines and headaches! Since using this new remedy, I have not had to use any pain relievers to get rid of my headaches, no matter how bad they are! What is this remedy? ~ Cayenne! 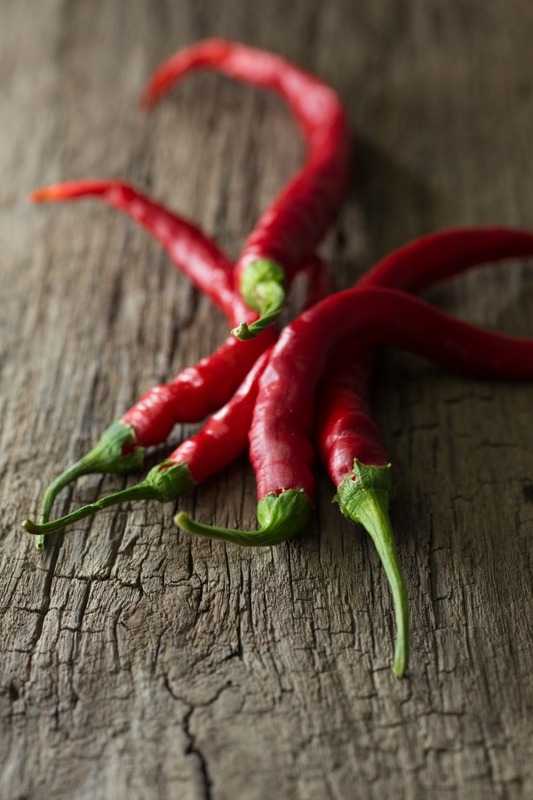 Cayenne pepper increases blood circulation and immediately equalizes blood pressure, which relieves pressure in the head. 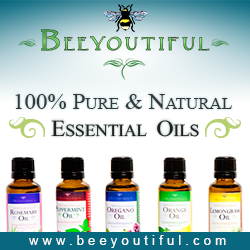 In the past, nothing has helped my bad migraines except unhealthy pain relievers…. until cayenne! I am so thankful for this herb!!! Place 1/2 tsp. of cayenne pepper in 8 oz. of water (hot or cold – if you use hot water, it will “steep” the cayenne and make the drink even hotter). Sip the cayenne mixture until headache is gone. In my experience, the headache has begun to disappear with the first sip. With my worst migraine, it took about 5 sips to improve. I continue to drink the cayenne water slowly until the mixture is gone. You can repeat this later if the headache comes back (though mine never has). Can you use any cayenne from the store for this remedy? 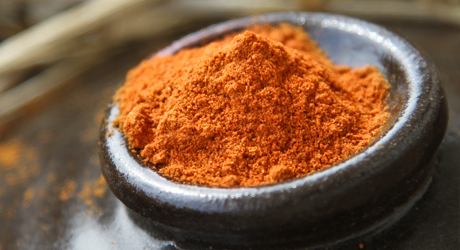 Cayenne bought from a grocery store shelf will not be as fresh, though it may work fine. If you try store-bought cayenne and don’t have good results, try buying a fresh good-quality cayenne. 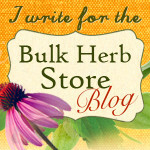 My favorite is from the Bulk Herb Store! The Bulk Herb Store is a company I know I can trust to sell me only the freshest, best quality herbs! I love this store! 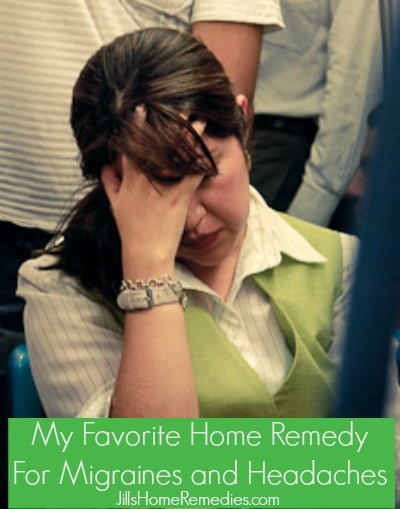 I would love to hear how this remedy works for you!